Here’s a riddle for you. What tastes as good as salted butter, is full of protein and rich in healthy fats, and is harvested from volcanic soils? Did you guess a pili nut? Neither did we. In fact, we had never even heard of a pili nut until recently. As a low carb and ketogenic dieter, you’ll want to add pili nuts to your diet ASAP. Why? Because they have the lowest carbohydrate and highest fat content of any nut on earth. Move over, pecans and macadamia nuts! Here’s everything you need to know about pili nuts and why they are about to take over the ketogenic world! What is a Pili Plant? Pili nuts are rich tree nuts that taste like butter. Some people even describe them as a cross between a cashew and a macadamia nut. They are wildly harvested from deep in the rainforest of Southeast Asia and have the lowest carb/highest fat content of any nut in the world! Pili nuts are sustainably harvested from pili trees. This means that they are collected in a way that is not damaging to the environment. The pili tree is also known as canarium ovatum. It’s a beautiful, massive tree that grows in the tropical rainforest in Southeast Asia. These trees are naturally wild, which means they are free of chemical fertilizers, genetic modifications, and pesticides. The only nourishment they receive is natural sunlight and water. Pili belongs to the Burseraceae family, which contains four genera (including Canarium). There are approximately 40 species in the Philippines. What makes them special is that unlike other nuts that are commercially produced, pili nuts grow wildly in volcanic soil. Then they are harvested in a way that does not impact the environment or the plant’s water supply. The harvesting process is intense and includes climbing up the tree, shaking the ripe pili fruit down, and then cracking every single nut open with a sharp machete. The “pili hunters” then soak the nuts in water and sell them in their activated form. Activated nuts are highly nutritious because it deactivates certain compounds in raw nuts that are hard to digest. These hard-to-digest proteins are known as “anti-nutrients” because they prevent the absorption of important nutrients in your gut. Soaking the nuts in water reduces this impact so that you can successfully soak up every single nutrient the nut has to offer. The harvester climbs the pili tree with a wooden stick and thrashes the branches so that the pili fruit falls down to the ground (although this sounds harsh, some research shows that this method of obtaining the fruit encourages the tree to produce more fruit next season). The harvested nuts are bagged up and taken to a processing area where the pulp is removed by hand. In order to do this, the pulp needs to be softened by soaking it in water for up to 48 hours or soaking the fruit in water that has been heated, which only takes a few hours but may affect germination. After the pulp is removed and the nuts are washed, they are air-dried in the sun for two days. The next step is to extract the kernel from the shell. This is done by using a bolo, which is a knife that is designed especially for this purpose. The worker cuts the shell in the middle in a crosswise manner. The worker needs to make sure the knife does not penetrate through the kernel. The whole kernel with the testa still intact is removed from the shell. An experienced worker can shell two bags or 40 kg of nuts per day. From here, the pili workers activate the nuts by soaking them in salt water for 12 days. Research shows that the pili pulp has a similar nutritional composition as avocado. It contains 28 to 36% oil, protein, and carbohydrates while the pili kernel resembles olive oil and contains 70% oil. Unlike some oils, pili oil does not contain the cancer-causing substance aflatoxin (4). Pili nuts also contain carotenoids, sterols, and tocopherols. Carotenoids and tocopherols contain powerful antioxidant abilities to reduce inflammation while lipid sterols have been shown to reduce cholesterol by increasing bile secretion. Finally, pili nuts are high in healthy fatty acids that further contribute to their heart-healthy and anti-inflammatory effects, including palmitic (23.96%), palmitoleic (4.66%), stearic (2.64%), oleic (60.93%), and linoleic (6.63%). 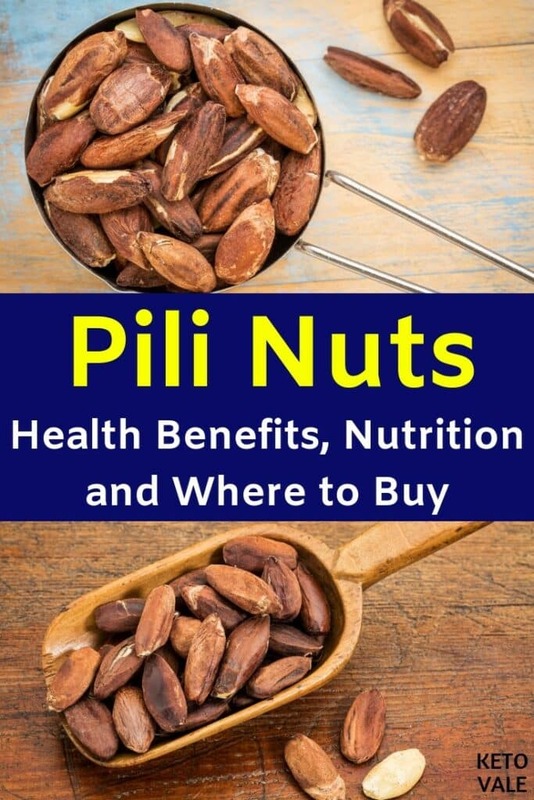 Pili nuts contain many proven health benefits. 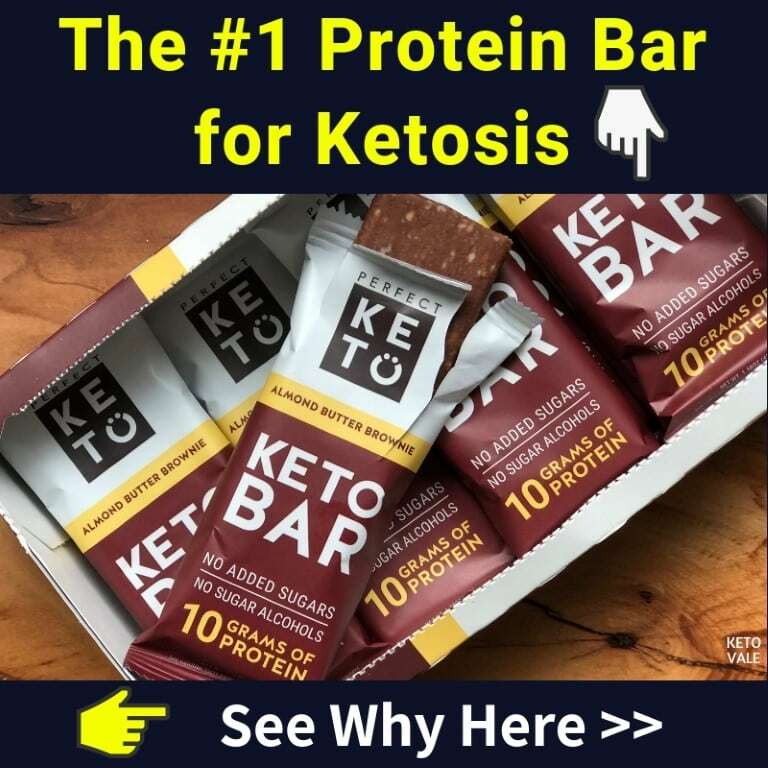 They are especially good for you if you’re on a ketogenic diet because they might just be the perfect keto food! Here are the top health benefits of pili nuts. In general, nuts are very healthy for you. They’re high in good fats, fiber, and plenty of antioxidants. However, raw nuts and seeds contain certain compounds such as phytic acid and enzyme inhibitors (also known as anti-nutrients) that interfere with the absorption of certain nutrients in the digestive tract. They also make nuts hard to digest for some people, which can lead to abdominal pain, gas, and bloating after ingestion. After pili nuts are harvested, they are soaked in salt water for 12 hours. This process is known as “activating” the nuts. It breaks down the hard-to-digest anti-nutrient compounds so that they are no longer hard to digest and you can properly absorb more of their nutrients. Because they are so high in healthy fats and low in carbs, pili nuts can be considered a superfood for keto dieters who need to eat more dietary fat each day to stay in ketosis. 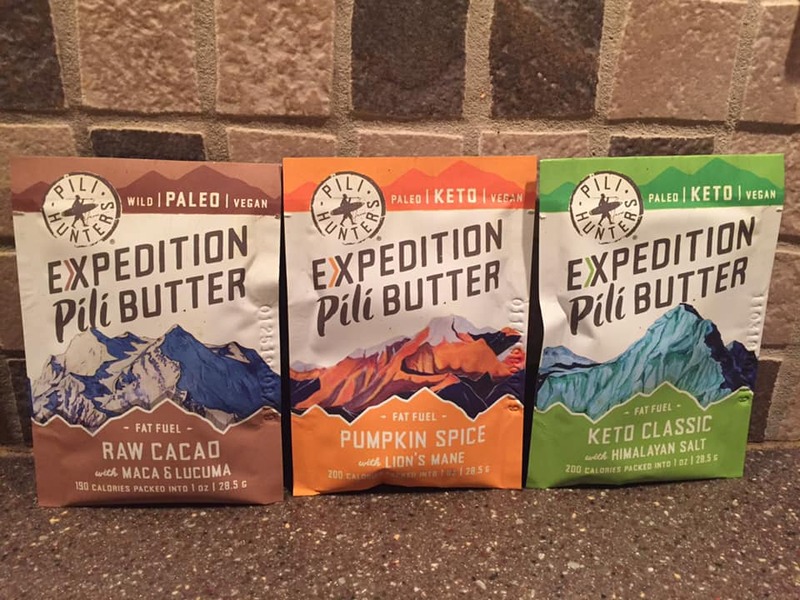 They are also a great choice for hikers or endurance athletes who need to pack foods with high calories for their trip to sustain their endeavours. Pili nuts contain the perfect macronutrient ratio for keto dieters. As mentioned above, a one-ounce serving contains 23 grams of fat and only 1.1 grams of carbs. For comparison, a one-ounce serving of avocado, which is often considered the perfect keto food, contains 4.1 grams of fat and 2.4 grams of carbs (5). A daily serving of pili nuts included in your meal plan can ensure that you’re getting enough dietary fat. Research shows that pili nuts are an excellent source of antioxidants, which are needed to reduce free radical damage and decrease the risk of chronic disease. Even consuming pili that has been heated has been shown to increase antioxidant levels in the blood. This is important because heating foods tends to kill off or reduce their antioxidant content (6). According to one study, pili antioxidant activity ranges from 60.56% to 82.22% as a radical scavenger and 47.78% to 66.11% as a metal chelator (which enhances the bioavailability of certain nutrients). The total phenolic content of pili ranged from 32.62 to 586.79 mg per 100 grams (7). Pili nuts contain a unique antioxidant called anthocyanins that are normally only present in berries. They contain approximately 400 mg per 100 grams in the form of cyanidin. Other antioxidant phenolic compounds found in pili included ferulic acid. Vitamin E, which also acts as an antioxidant in the body, was noted to be 252.73 to 306.72 mg per 100 grams in pili nuts. Overall, pili nuts contain a great deal of antioxidants in addition to their high fat and fiber content! Antioxidants help give you great looking hair and skin among many other health benefits. 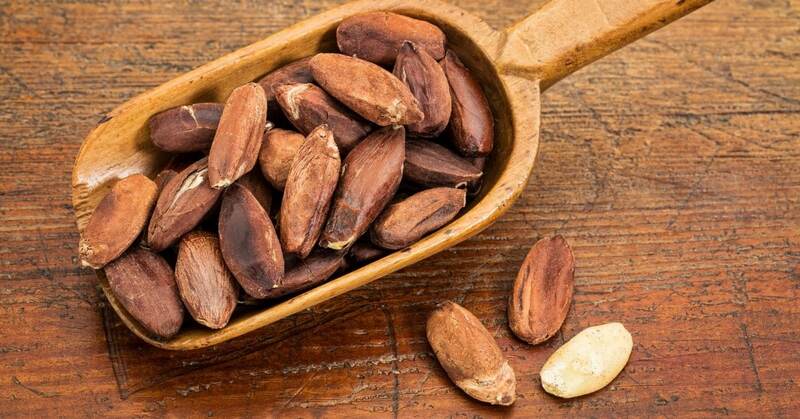 Pili nuts are a great source of magnesium, which has been shown to prevent and manage type 2 diabetes in some studies. According to one study, low dietary intake of magnesium is linked to the development of type 2 diabetes and metabolic syndrome (8). Another study found that magnesium supplementation improves insulin sensitivity and metabolic control in people with type 2 diabetes (9). In fact, most studies to date have concluded that magnesium supplementation has positive effects on metabolic profiles in diabetic patients (10). Magnesium has also been shown to help you sleep, reduce migraine pain and anxiety, and act as a laxative to help promote regularity (11, 12, 13). Instead of taking a magnesium supplement, you can increase your dietary magnesium intake by eating more pili nuts! Pili nuts are naturally high in oleic acid, which has been shown to help reduce blood pressure. According to one study, oleic acid regulates membrane lipid structure in a way that controls G protein-mediated signaling. This causes a reduction in blood pressure and can help reduce the risk of cardiovascular disease (14). Pili nuts are also a good source of palmitic acid fatty acids, which have been shown to reduce LDL cholesterol levels (15). Nut consumption might be beneficial at promoting heart health in people with diabetes. According to one study, people with type 2 diabetes who eat five servings of nuts per week reduced the risk of cardiovascular disease by 17% (16). The same study found that people with type 2 diabetes who regularly consume nuts had a 34% lower risk of dying from cardiovascular disease, a 31% reduced risk of death in general, and a 20% lower risk of coronary heart disease. In addition to containing healthy fats, most nuts also contain antioxidants and fiber to further promote heart health. Adding pili nuts to your diet it is a great way to protect your heart and reduce risk factors associated with cardiovascular disease. Pili nuts contain a fatty acid called stearic fatty acid. Research shows that stearic fatty acids help reduce visceral fat, which is the type of fat that is found around your middle section. For most people, this type of fat is the hardest to remove from your body, especially as you age. Researchers from one animal study found that unlike oleic acid and linoleic acid, stearic acid caused cell death and cytotoxicity in fat cells called preadipocytes. They concluded that dietary intake of stearic acid leads to dramatic reductions of visceral fat in the body (17). This data suggests that you can use pili nuts as part of a keto diet to lose weight. Because of their high fat content, pili nuts might be a good dietary food to help reduce symptoms of depression and boost brain power. Research shows that fatty acids stimulate neuronal activity and gene expression, boost neurogenesis and synaptogenesis, and prevent brain cell inflammation and death (18). Fatty acids also promote brain development, support cognitive function, and act as an anti-depressant and an anticonvulsant. They help protect the brain during injury and enhance the repair process. Another study found that fatty acids have an anti-anxiety effect on the brain. Researchers found that the fatty acids present in pili nuts (palmitic acid, stearic acid, and oleic acid) reduced anxiety-like behavior by modulating the neurotransmitter GABA in baby rats (19). Stearic acid, which is also found in pili nuts, has been shown to pass through the blood-brain barrier (20). This means that eating foods high in stearic acid such as pili nuts helps supply nutrients directly to your brain! B vitamins are well known for helping increase your energy levels because they assist with the breakdown of glucose. If you are on the ketogenic diet, then you are not consuming enough glucose for this to be a factor. However, research shows that certain B vitamins such as thiamin and vitamin B6 play a unique role in energy metabolism by helping break down fatty acids and amino acids, respectively (21). This helps stimulate the citric acid cycle, which is needed for the breakdown of fatty acids and helps give you fuel on a ketogenic diet. Pili nuts are a good source of B vitamins, especially folate, thiamine and vitamin B6, which are needed for the breakdown of fatty acids. Currently, pili nuts aren’t found in many grocery stores and need to be purchased online. This will likely change as the nuts become more popular in other areas of the world. Pili Hunters – Our #1 recommendation! 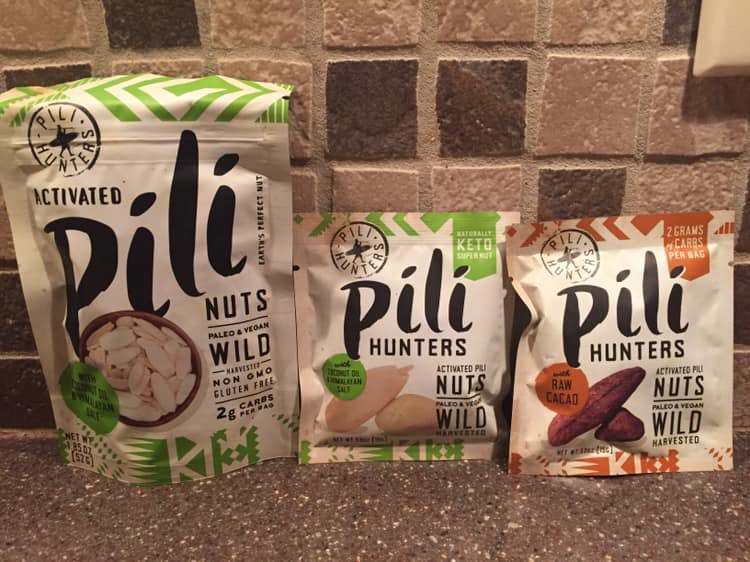 We had the pleasure of trying Pili Hunters nuts for ourselves. The first thing we noticed is that pili nuts certainly live up to the description of silvered salted butter. They even look a bit like silvered salted butter sticks might look like! They were small, silvered buttery sticks of happiness that tasted richer and creamy than the average nut and can best be described as a marriage of macadamia and cashew nuts. We highly recommend munching on pili nuts in place of regular nuts the next time you’re in need of an interesting snack. We also got to try the pili expedition nut butters, which was a perfect addition to a breakfast smoothie in place of regular nut butter. We loved that it came in a convenient travel pack so that you could take it with you and enjoy a high-fat, low-carb snack any time of day. Perhaps more interesting than the pili nut itself is the story behind how the company came to be. Pili nuts have long been eaten by local natives in Southeast Asia, but practically no one here in the United States has heard of them until the ketogenic diet became popular and people started searching for low-carb/high-fat food options. Jason Thomas is the man behind the pili nut company. He first discovered the nut while kitesurfing in the Philippines. He was so taken with it that he decided to make it his mission to bring the nut to the United States. He set out on his goal of introducing Americans to the delicious, nutritious, and sustainable pili nut for the first time. Jason isn’t your average Joe Smith. As an outdoor endurance athlete, he has accomplished some pretty impressive missions. He has hunted in the tundra, fished in the open seas of Native Alaska, and worked on artic construction projects near his hometown of Barrow, AK. Jason loves to travel and has seen many views, from the frigid tips of Alaska to the warm sunsets of the beaches in Hawaii. He has been a high-altitude mountain guide, an archaeologist’s assistant, a glaciology field hand, a commercial fisherman, a kitesurfing instructor; and a rock climber. After discovering the pili nut for the first time, Jason returned to the US with 15 pounds of deep-fried nuts in tow. He spent the next few months selling them before returning to the Philippines to develop a healthier recipe. That’s when he decided to pack the nuts and sell them in their most nutritious form. During his travels, Jason has developed a strong relationship with the locals. The pili nut company hires local pili nut hunters and channels their deep understanding of the environment to sustainably harvest the pili nut without the use of heavy machinery. Then Jason brings the nuts here to the US in their activated form where Americans wouldn’t otherwise know about this nutritious nut. It’s a win-win situation for all parties involved! For example, you can try this low-carb Pili Chocolate Chip Cookies recipe. Simply mix everything in a bowl then roll the dough and divide into small balls (8-12) and shape them into cookies. Place them on a baking sheet lined with parchment paper and bake in a preheated 350F oven for 9-12 minutes. Let it cool and enjoy! 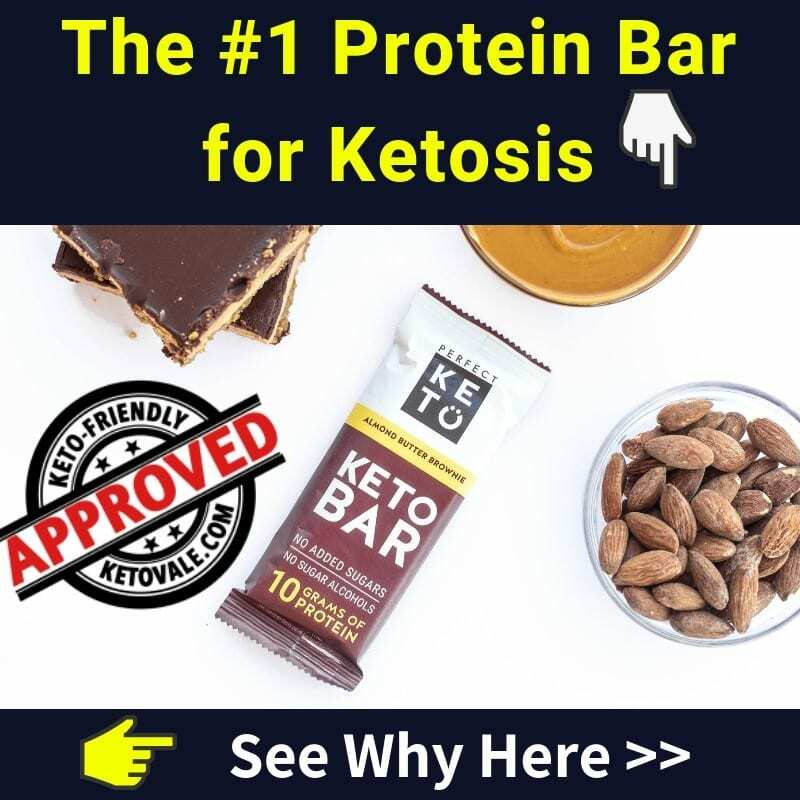 Can You Eat Pili Nuts on a Keto Diet? 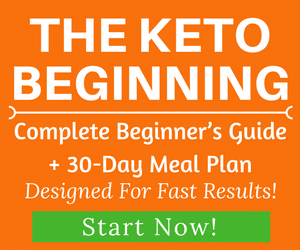 You can absolutely eat pili nuts on a ketogenic diet! 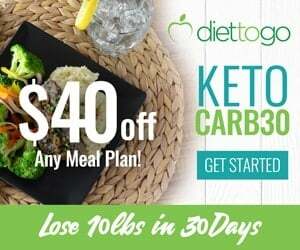 In fact, they might be right up there with avocados in terms of the best keto-friendly foods out there due to their high fat and low-carb content. We recommend adding pili nuts into your diet whenever you eat regular nuts. You can munch on them raw as a snack, add them to smoothies, or even toss them into a salad. Pili nuts are a rather new topic to Americans. Most people in the United States have never heard of them. For most people, pili nuts are an exciting new discovery because they contain more fat and fewer carbs than any nut that we are currently aware of. 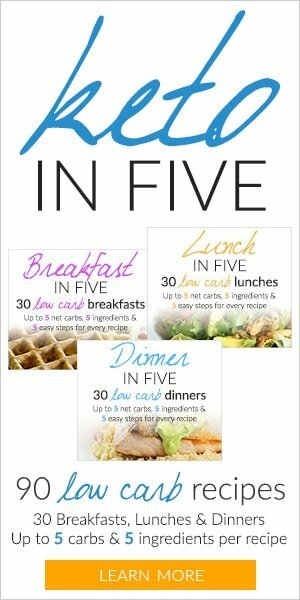 This makes them a great addition to your ketogenic diet. Research shows that pili nuts are high in healthy fats, and antioxidants. The harvesting process is intense and includes several days of processing before the nuts can be eaten. 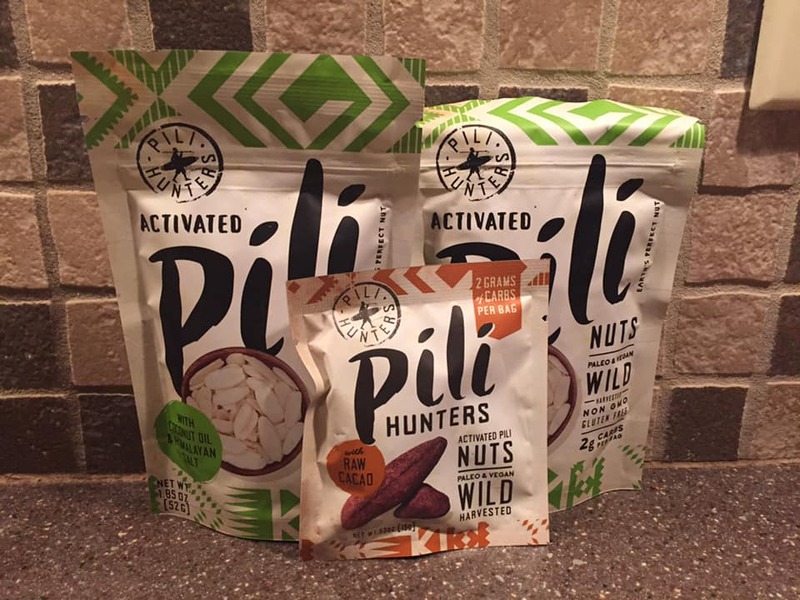 We had the pleasure of trying Pili Hunters pili nuts and were delighted by the buttery flavor promised by the company’s marketing campaign. They tasted like a blend between cashew and macadamia nuts. We also love the use of the Expedition nut butters, which we used in place of regular nut butter in a low-carb smoothie. Pili nuts are currently only offered online, but expect to see them in stores as they become more popular. 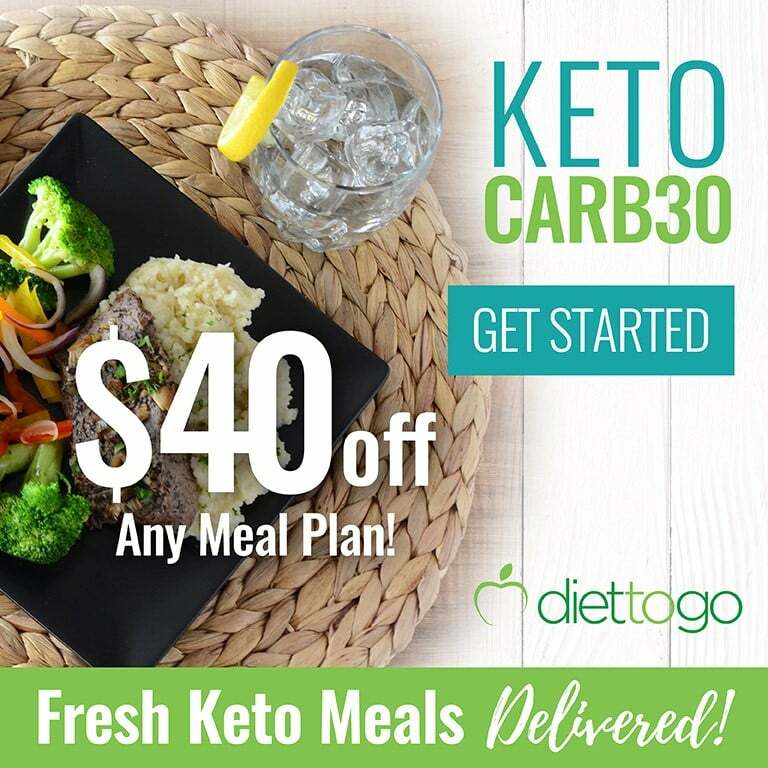 We reviewed two great options for you in this article and both are keto-friendly.